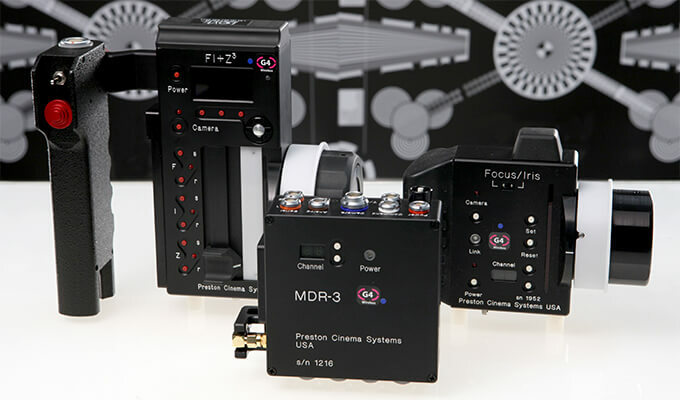 Preston Cinema System’s wireless lens control is the industry standard. The new MDR3 is a four channel motor driver. It is smaller and lighter than its MDR2 predecessor and packs new capabilities. The HU3 hand unit uses Lens Mapping to match the focus marks on the lens pre-printed focus rings. This complete kit comes with a 2nd focus/iris handset, Digital Microforce 2 and all cables and accessories required. The Preston wireless system is a robust, reliable, high performance and high quality product, de-signed and manufactured to control your lenses and camera with complete precision. Compatible with all modern film and digital cameras.